I am fighting with my steering. Replaced cylinder. Loud noise when I attempt to turn. I can force the issue. Do I have air in the system. I was thinking bearings but both sides started making noise at the same time. Plenty of grease. Any suggestions. 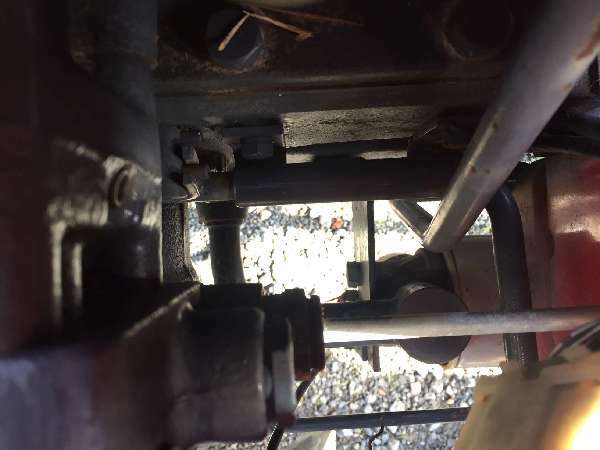 I'm sure you've tried this, but if it were me I'd jack up the front end and disconnect the cylinder from the arm and see if if it goes in and out smoothly. Then try and turn the wheels by hand. It they won't turn fairly easily with no weight on them there is a dry spot on a spindle somewhere. Yea I have regressed with high temp nano grease heated spinal hoping to bring grease to dry spot/bearings. I am assuming it has them. Manual does not show any. I am desperately trying to keep from tearing the front end down. That worked for about 10 hrs of operation. Got back on her. Same noise. It will all be just like new before this is over. I replaced the cylinder. Might as well do the pump and reservoir. I will fix it and shoot you a note telling you what it was. Might help you down. The Rd. Thanks.